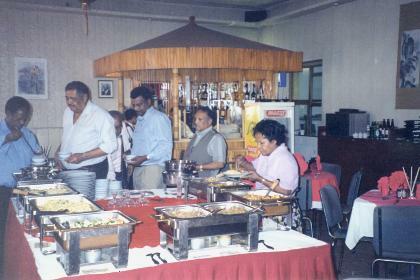 The restaurants offer good value for money and all offer fast, efficient and friendly service. 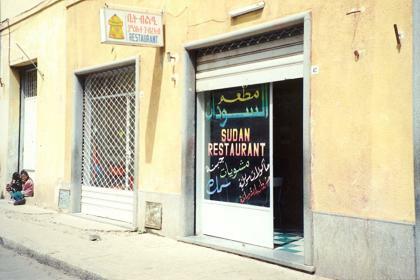 Italian cuisine and traditional Eritrean food complement each other. 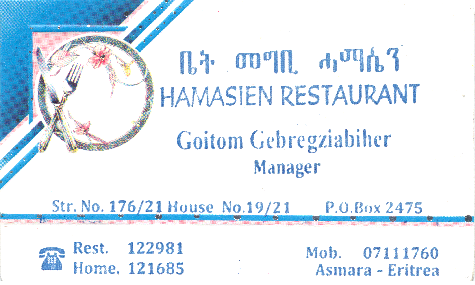 Eritreans tend to eat early. therefore there is a good chance most options on the menu will be 'finished' if you choose for a late diner. 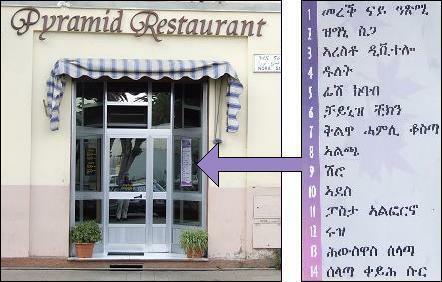 You can show your appreciation for the cook's work with the Tigrinya word tu'um (delicious). 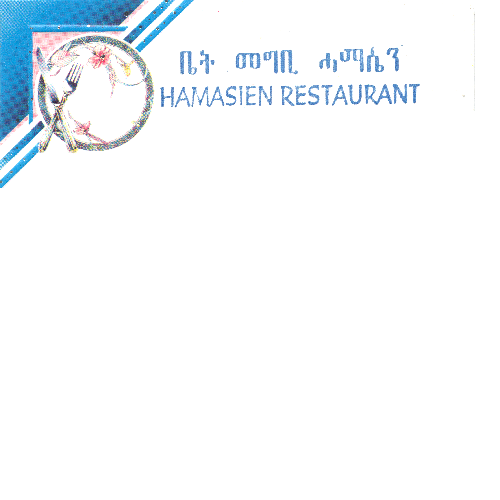 On this page we show a selection of popular restaurants in Asmara and some menu listings as an example. 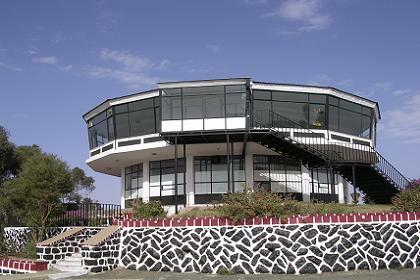 The major hotels also offer a selection of both traditional and international cuisine. 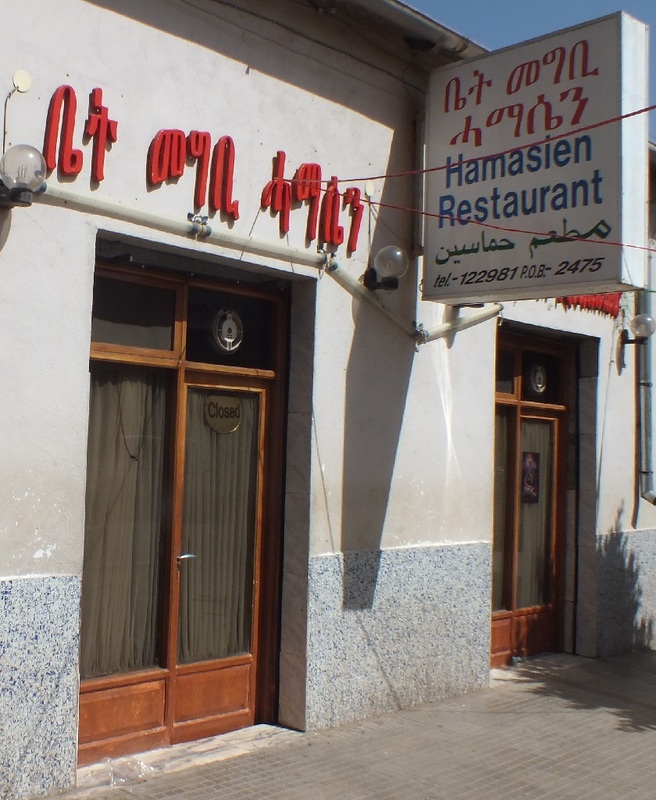 Exploring Asmara you may find unexpected value for money by entering some of the small restaurants popular by the Eritreans. You will be treated as a special guest. north of the covered market. 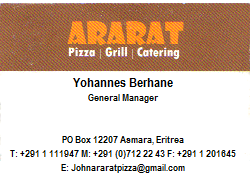 Where Asmara stretches out in all directions. Cozy Bar and Restaurant with local and foreign dishes. Tel +2911 115054. 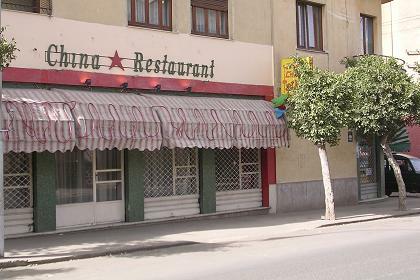 China Star Restaurant Knowledge Street (close to the Nyala Hotel). + 5% tax. Take away service. Outside catering. Telephone +2911 125853. Buffet lunch at China Star Restaurant Knowledge Street. 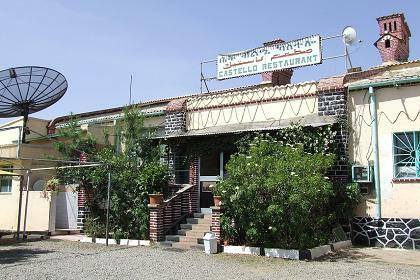 Castello (Italian) Restaurant - Gejeret. international and midnight barbeque two times a week (Friday/Saturday). 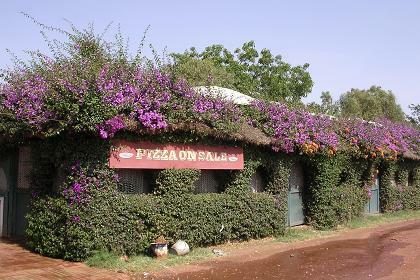 taurant opposite to the Khartoum Hotel (100m from Cinema Impero). 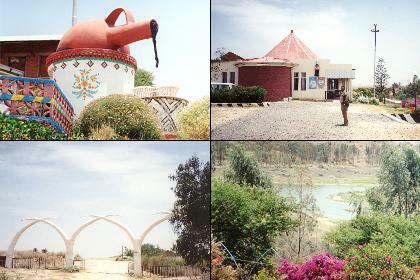 Mai Sirwa Recreation Center and Restaurant 2km off the Road to Keren. Prices and exchange rates may be subject to change. 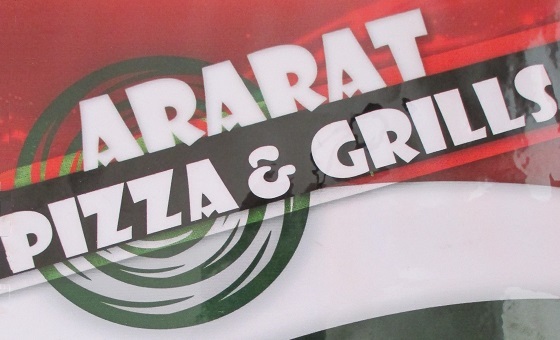 Ararat Restaurant opened its doors in 2011. 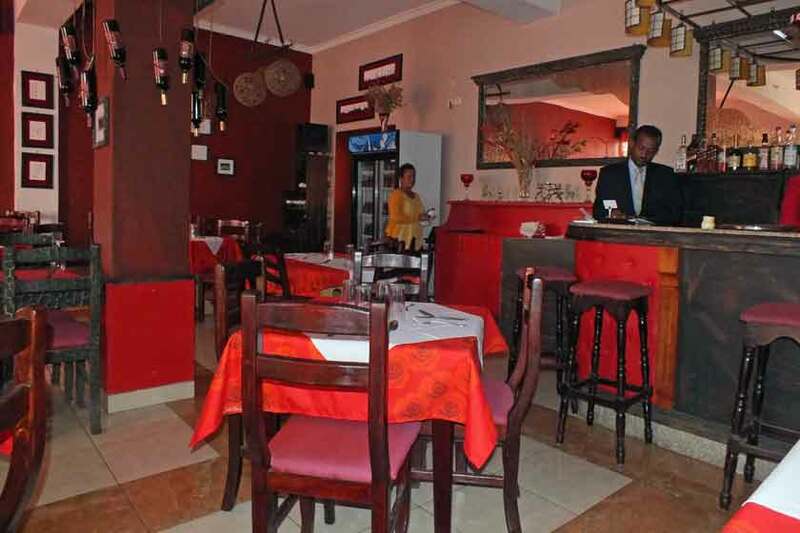 The restaurant focuses on customer friendly efficiency and today's quality standards. 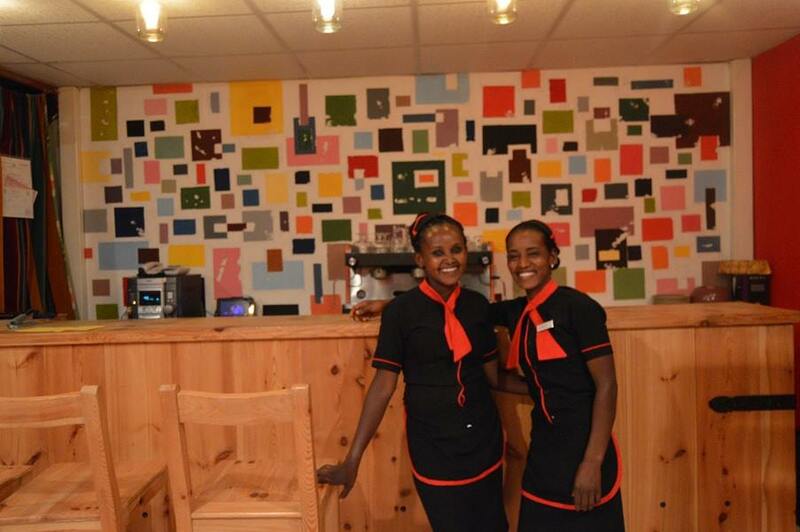 It is a very modern and clean restaurant located on the Asmara Ring Road, not far from Bahti Meskerem Square. For those of you that prefer to see and choose the food you prefer, the Pyramid Buffet Restaurant is opened all day long, for breakfast, lunch and diner (pasta, pizza, rice, injera, bread, meat, fish, sauce and salads).